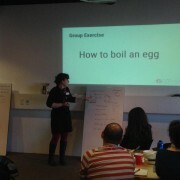 I had the pleasure of teaching recently as part of the Design Writing Summit crafted together by Christina Wodtke and sponsored by Boxes and Arrows. It was as enlightening as exhilarating. 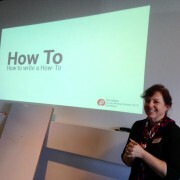 Each of us had the opportunity to also participate in the sessions with the other session leaders so I got to participate in writing exercises and thinking from the amazing Laura Klein, Steve Portigal, Christina Wodtke, Indi Young and Cathy Yardley. 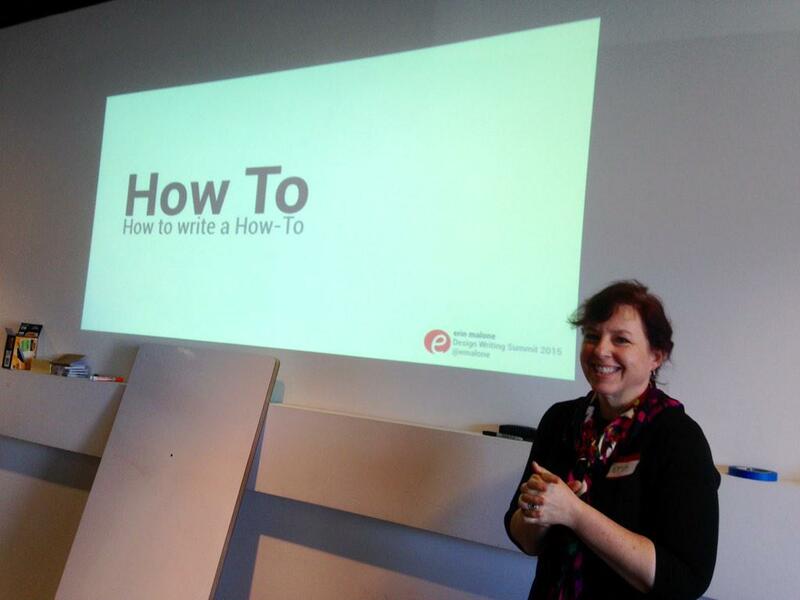 I taught a how to session on How to Write a How-to. Use video if applicable, I didn’t really cover this as an option – mostly out of time constraints. Video is a viable option for teaching people how-to do something – just look at the plethora of how-to videos on YouTube and the large number of startups focused on teaching people via video. 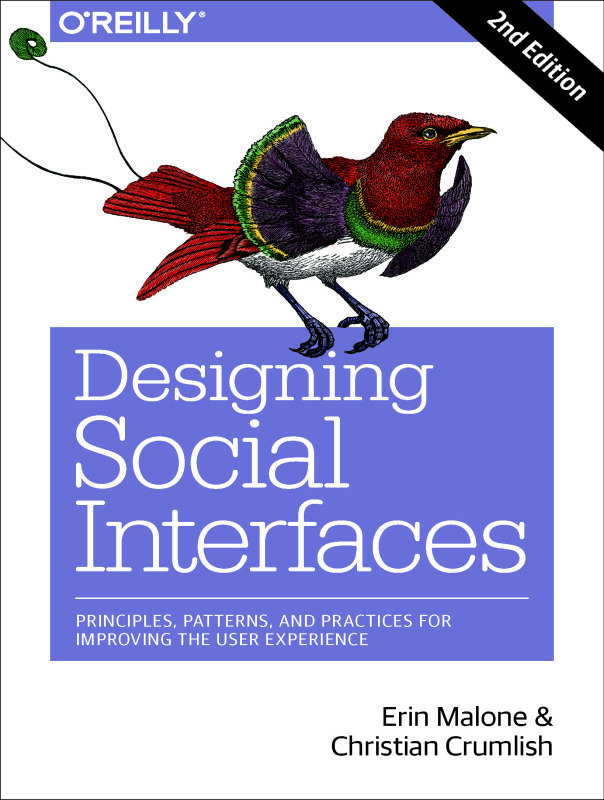 Actually writing a How-To to cement the process into my head even if the end result isn’t actually a formal How-To. I take a lot of classes and take notes during the class. When I get home, I rewrite my notes out as a How-To and walk myself through the process I learned to make sure that I know the material. The end result is I then have a fleshed out step-by-step for use in the future. 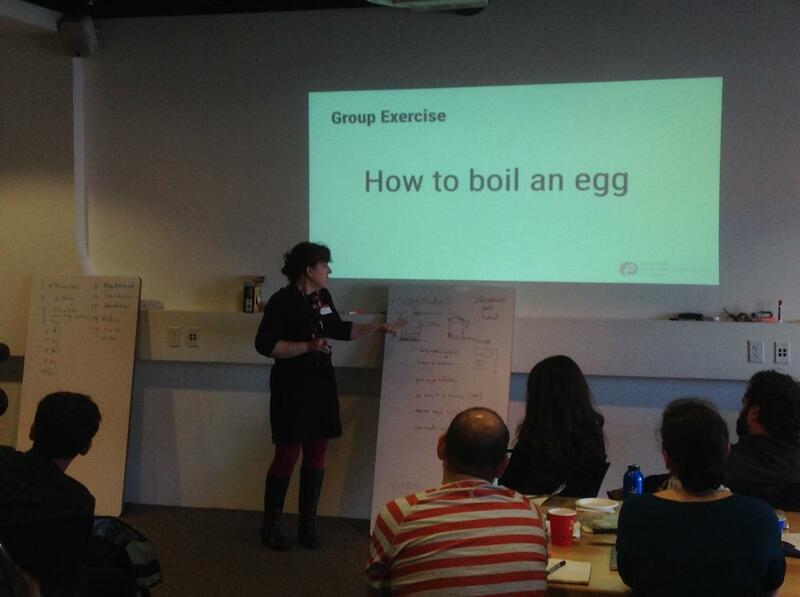 The best part of the session I taught was the debate we had as a group during the exercise fleshing out How To Boil An Egg. All the variants – hot or cold start, soft or hard boiled, watch or leave, cold shock or not. I thought I was picking something fairly simple but as I mentioned in my setup, sometimes, the simplest looking things turn out to be the most complex (for example – designing a sign in screen). That actually is part of what makes this a good exercise to walk through to think about all these variations and potential tips for success. 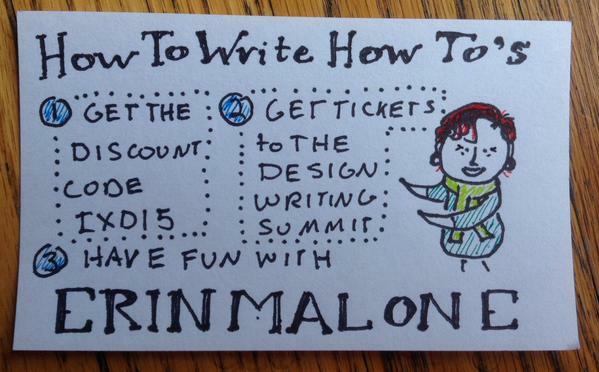 There is talk of doing the Design Writing Summit on the east coast. I hope I get to participate and tweak the content some more. It was a blast and I am personally looking forward to putting everything I learned into practice.